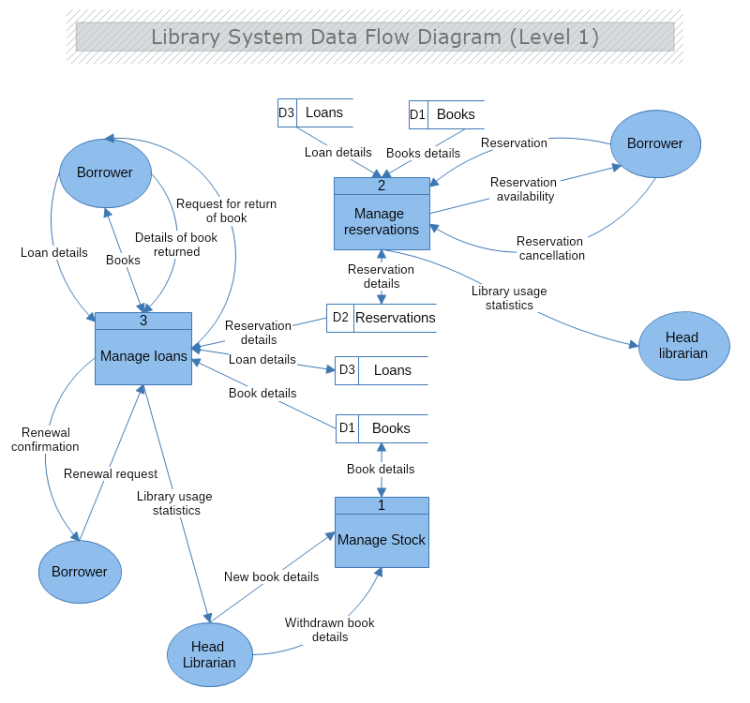 This template represent Data Flow Diagram Level 1 of a Library System. This level of Data Flow Diagram illustrates the information flow between the main processes of the system as well as the databases where information is being stored. In the shown example this includes the processes of Stock Management, Reservations Management, and Loan Management and the databases of available Books, Reservations, and Loans. The example is suitable for displaying the data flow information within any kind of rental services. Download this free template and modify it with MyDraw so it meets your needs and requirements.